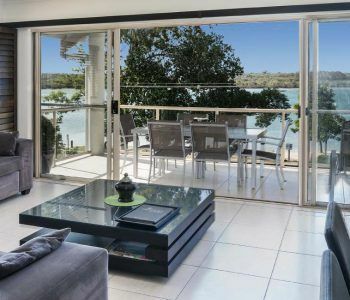 Are you looking for Noosaville luxury accommodation? 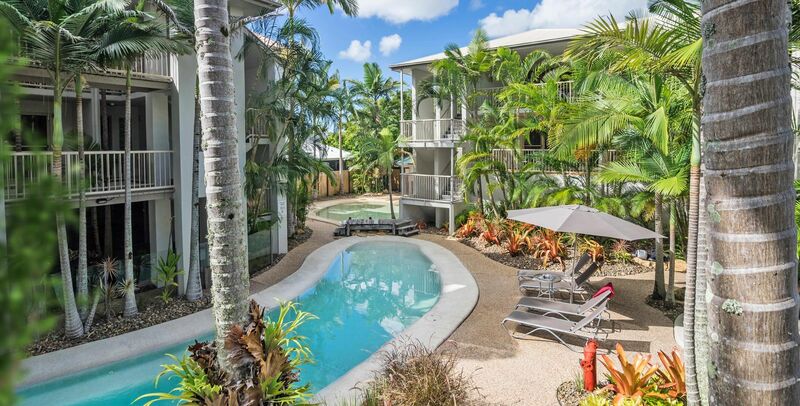 Our Noosaville riverside resort is the perfect holiday idyll. Relax in the tranquil seclusion of the Offshore Noosa. Our one, two and three bedroom apartments are generously proportioned with quality fittings and furnishings. The fully equipped kitchens include a breakfast bar and outdoor furniture on the balconies provide an option for breakfast al fresco. You’ll love the crisp contemporary interiors with their comfortable and over sized lounge furniture. 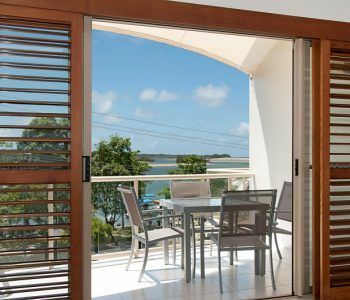 The balcony is framed with tropical hardwood louvres which can be drawn to provide further privacy without losing any of the wonderful Noosa light. In the courtyard, the gorgeous aquamarine lagoon style pool is thoughtfully shaded with overhanging tropical palms. The subtropical theme extends through the garden to create a wonderfully relaxing pool environment. Alongside the pool is the outdoor kitchen pavilion with the deluxe stainless BBQ cooktops, and outdoor dining furniture. There’s also the outdoor spa and sauna room to complete the set. To complement the perfect riverside location on Gympie Terrace are the restaurants to please the gastro crowd. Choose from a selection from the amazing kitchens. Modern Australian, Italian, surf and turf, Thai or Japanese all get fair representation, with a lot more selection in between. Fancy a good breakfast, there will be a cafe for that, replete with barista-crafted coffees. 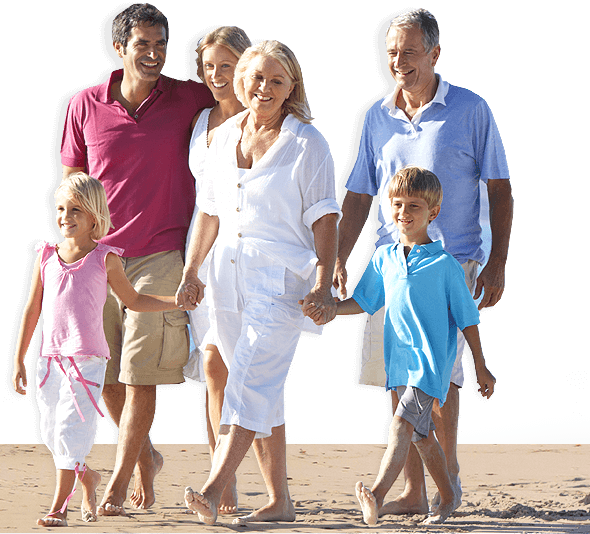 If this is your first time visiting Noosa one of the best ways to get your bearings is on the Noosa Ferry. It will take you to Hastings Street and beyond if you like. The “All Day Pass” is a great way to hop on and hop off the ferry, so you can take a closer look at whatever takes your fancy whether it’s the Noosa Yacht and Rowing Club, the O or T Boat stops, or Q Place to stop for lunch, or get dropped off at Hastings Street where you can shop, eat and drink, or spend the day on Main Beach. So, what are you waiting for? 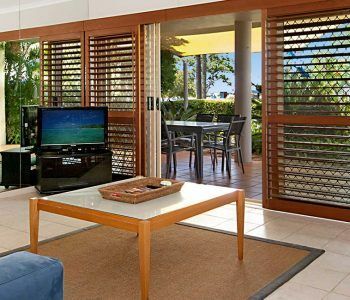 Book your Noosaville luxury accommodation at Offshore Noosa now.